The AASG 2019 Spring Conference will be held April 11-13, 2019 at Bethel Regional High School. The theme of our upcoming Spring conference is “Forefront of the Last Frontier.” According to our conference hosts in Bethel, “It's been 6 years since the hub of the Kuskokwim has hosted an AASG conference, and we are happy to welcome the student leaders of Alaska back to Bethel. We seldom get to showcase our region to the rest of AASG so we will take this opportunity to give delegates a genuine experience, here in the Last Frontier. This will include explorations of our subsistence based lifestyle such as fishing and wilderness survival, as well as workshops exposing delegates to the Yupik culture. 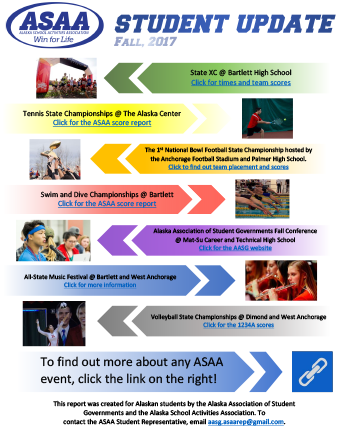 This is still an AASG conference after all, so expect the same General Assemblies and leadership development workshops that we all know and love. Anticipate every stomp, clap and cheer to be louder and each snap more united towards a better Alaska. As students of Alaska, we are at the forefront of change and so we welcome you to the Forefront of the Last Frontier." 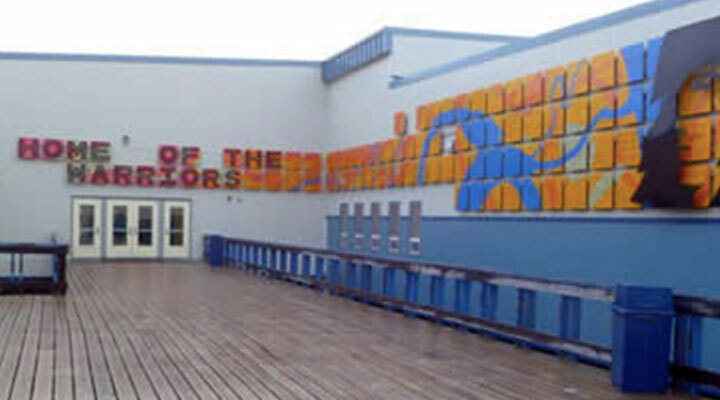 The Alaska Association of Student Governments (AASG) has been named the 2011 winner of the Ardis Kyker State Service Project Award by the National Association of Student Councils (NASC). The award is presented annually by NASC and recognizes a NASC-affiliated state student council association for its organizing and sponsoring of a statewide service project that engages its membership in support of a common charity or cause.